Flooding is an issue that can affect anyone, irrespective of whether their home or office is located near a body of water. 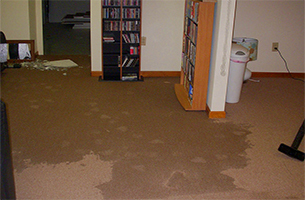 Contacting a floor water extraction and restoration service immediately is a surefire way to prevent further damage and protect your assets. Because reaction time is critical in this case, our certified team will contact you within minutes after the initial call and advise you in regards to how you can minimize the damage until they arrive. If the situation permits it, you should remove all high valuable and moisture-sensitive items from the affected room. To prevent permanent rust stains on the furbishing, you should place aluminum foils under the legs of furniture that is too heavy to move from the flooded location. Do not attempt to remove small electric devices from the areas with excess water unless you are 100% certain it’s safe to enter the premises. Flood damage repair is more complex than it looks and our technicians have the experience and tools to detect and address the hotspots with dangerous levels of moisture that are prone to mold and mildew. When moisture-sensitive assets are soaked for more than 48 hours, the chances of developing mold increase exponentially. Take note that mold is not a pretentious fungi and it can thrive in many settings, including carpet, drywall and upholstery. Therefore, if the humidity is not restored to optimal levels in less than 48 hours, you will have a very persistent mold issue on your hands. 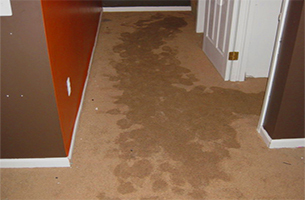 Because water causes severe and immediate damage to the materials found in carpet, drywall and furniture, our staff is trained to act quickly. After the inspection is performed to identify the type of water that is causing the problem, we will take the necessary steps to prevent any safety issues. The sooner you contact us, the less items will require restoration from water damage and the associated mold. In case of a flooding, don’t hesitate to contact us too. Our Bedrosian team has the experience and equipment to address this issue and prevent further damage to your flooring and furbishing.